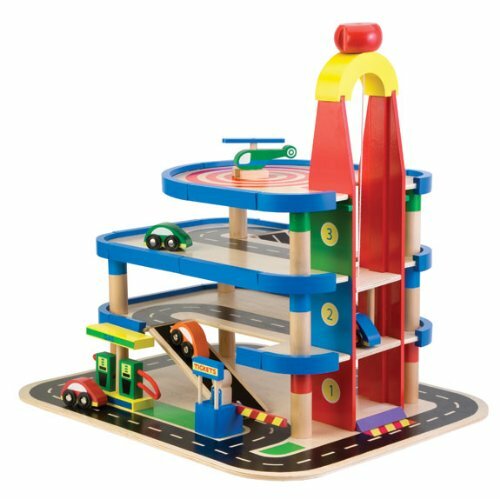 This colorful wooden 4 story parking garage provides hours of fun. It even has a helicopter pad on top! Turn the knob, and lift the cars in the elevator. Includes 4 brightly colored hand-painted cars and 1 helicopter. Beautiful road graphics, gas pumps, ticket stand and attendant also included. Wooden toys are a classic and last for years to come.